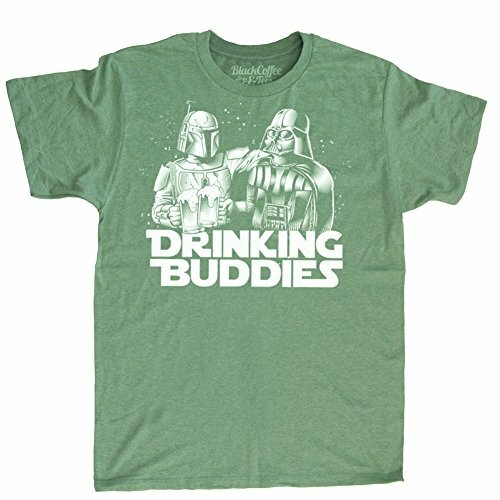 Stay festive with the Irish holiday while still showing your Star Wars fan geeky side with this fun novelty t-shirt that shows Boba Fett and Darth Vader sharing a drink! St. Patrick's Day is just over a month away, on March 17. This is a fun green shirt with a quality screen-printed design showing the Dark Lord and his favorite Bounty Hunter sharing frothy mugs of green beverages. The slogan underneath reads DRINKING BUDDIES in a Star Wars-style font. Get this to wear for you St. Patrick's Day festivities! 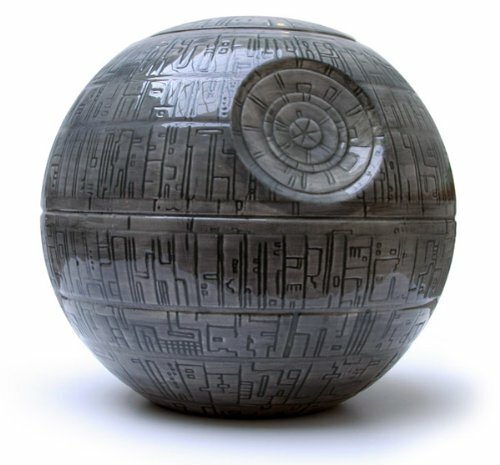 Specifically Star Wars themed or not, you'll bring the Dark Side with you to the St. Paddy's Day fun!